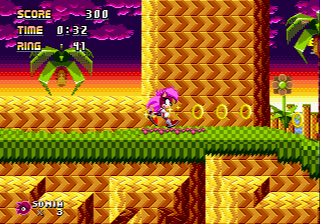 This is a hack of Sonic the Hedgehog for the Sega Genesis. It changes graphics, music, and layout of most levels. Some levels re-use previous artwork but much of it is original. 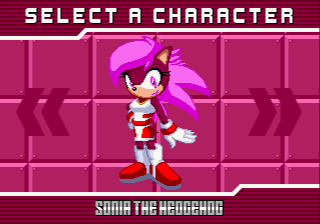 Two characters are playable; Sonia, Sonic’s sister from the SatAM cartoon series, Silver the Hedgehog from Sonic the Hedgehog (2006), and Scourge, a character from the US Sonic the Hedgehog comic series. Each character plays different from each other and have some moves unique to each character. A move list can be found in the readme. 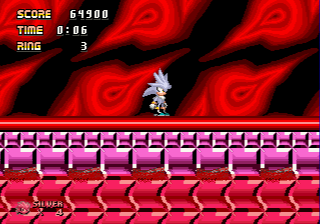 The game features Eggman Nega, Eggman’s evil descendant from the same time period as Silver. He is the nemesis of the heroes of this hack. The patch is in xdelta format. The ROM should be in BIN format. PS: This review have informations that you, reader, will want to know. The hack is amazing. It changes everything in the game, musics, ABILITIES,bosses(there´s VERY creative bosses here), stages, gameplay, everything. It´s pretty much a new game. The difficult is,well,it depends . 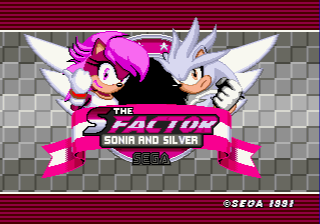 With Sonia the difficult is medium and more fresh,and as Silver its more challeging,ESPECIALLY some of the bosses like the Team Metallix in White Blaster Act 3.So FOR A FIRST PLAYTHROUGH,PLAY AS SONIA. A hint to unlock the Level Select:is in one of those menus and have something about the words DOUBLE and CHEATER. But there´s one thing that I think it must be showed to help the people.It´s ANN boss strategy.After dealing the fourty hit,DO NOT HIT HIM FROM THE SIZES ANYMORE.If you do(from there on),he will shot a energy sphere that chases you the whole fight,making it painfull.So keep that in mind. 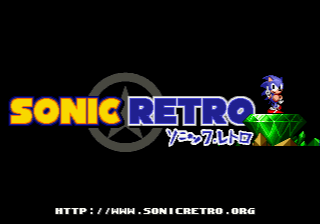 Issues:Destron City being a CHEAP and a VERY FRUSTRATING ZONE.it have wayyyy more trap that the original Scrap Brain and no checkpoints.Baby steps are definitely required to beat that fucked stage,and act 3 doesnt help it either,where you have to beat the regular Green Hill acts in 30 seconds,without rings,without taking ANY damage,no checkpoints and eggman nega monitors.Painfull!! Another issues are the killable spike bug(I mean,most hacks had fixed this and this doesnt),the secret and only ANN strategy(which I mentioned up there)and the 10 minutes limit in White Blaster Act 3(only 10 minutes to beat 3 loong battles is a short time for Silver,which probably will require a propositional death). Surely this hack have some really worried issues FOR NEWCOMERS,I mean,for me that have finished the game a lot with both,now I know how to deal with them,but the newcomers don´t and I know that few of them may suffer with them(at least without help).But even with those,it´s still a amazing and heavily modified hack(mainly becuase those modifications are veryyyyyy hard to find or there won´t be much other hacks this those kind of customization).So for those that want to play it,don´t be ashamed to watch a walkthrough help you.